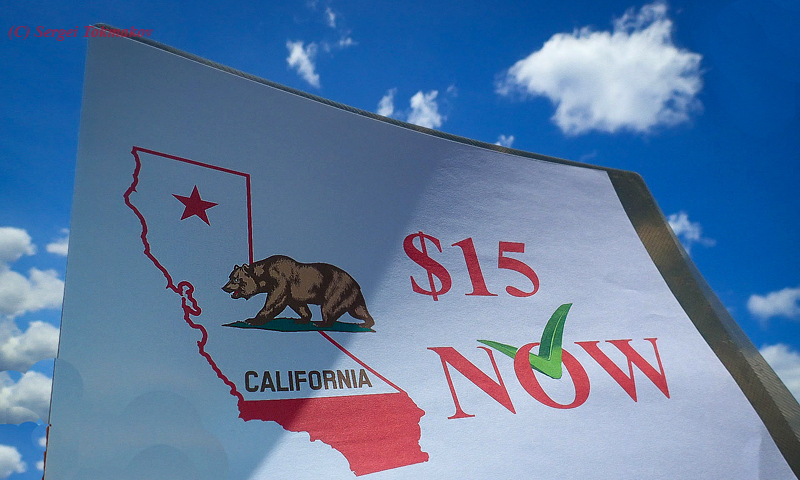 Governors in both New York and California signed bills Monday gradually raising the minimum wage in each state to $15 per hour. In CA, the new law will push the minimum wage from an already nation-high (for an entire state) $10 an hour to $10.50 by 2017 and $11 by 2018. Then, wages go up by $1 an hour each year until 2022, when they reach $15 an hour. Smaller businesses with less than 25 employees have an extra year to comply. Calif. Governor Edmund G. Brown Jr. said, "This plan raises the minimum wage in a careful and responsible way and provides some flexibility if economic and budgetary conditions change." President Obama also issued a statement in support of both states’ legislation and urged Congress to act similarly. 1. Jobs and hours could be cut. With labor becoming 50% more expensive, employers may look to reduce workload. 2. Worker benefits may be cut in order to compensate for minimum wage hikes. 3. Employers may look out of state. 4. Tenured worker pay has to go up as well. Suppose, you’ve been working at a company for a few years and got up to making $14.50 per hour just recently. An inexperienced new employee will be automatically making the same amount of money as you after the wage hikes. If the business wants to retain your loyalty, it will then have to give raise to you and similar employees. 5. The price for goods and services might increase if it costs more to produce them. 6. Higher cost to taxpayers. Raising pay will increase the state civil service payroll. Therefore, while the intent to reward low-income earners is great, the minimum wage hike could end up backfiring on the states' businesses and minimum-wage workers themselves.